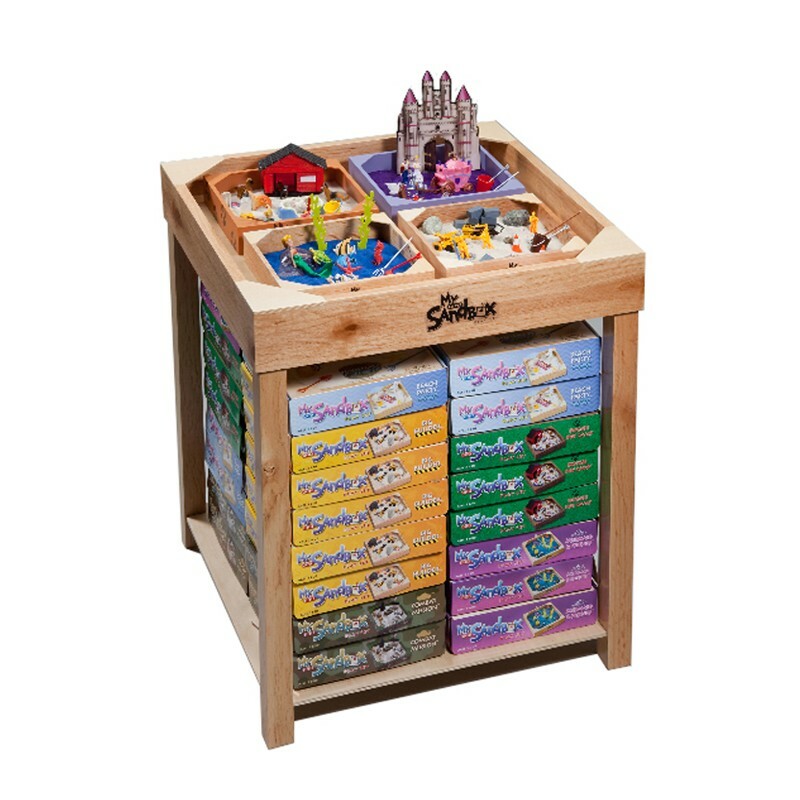 Deluxe display top is a giant, all wood version of the My Little Sandbox PlayTray and includes space for four demos that are accessible on all four sides! Holds 36 pieces. Measures 26”W x 26”D x 30”H.